It's a privilege to teach and learn with so many incredible folks around the world. This was one of the best workshops I have ever attended. The venue and facilitation were excellent. I enjoyed the opportunity to reflect. Highly participatory and inclusive.... I highly recommend working with Trevor. He’s a gem. Trevor acted as a developmental editor on one of my stories. What struck me most was not just the thoroughness of his critique, his copious notes, but the penetrating insight, the encouragement to go deeper into a piece that I thought, quite mistakenly, I understood. I thoroughly enjoyed the writing portion of our retreat. Trevor’s teaching style is relaxed and encouraging; I was able to trust in the process and make discoveries about myself. 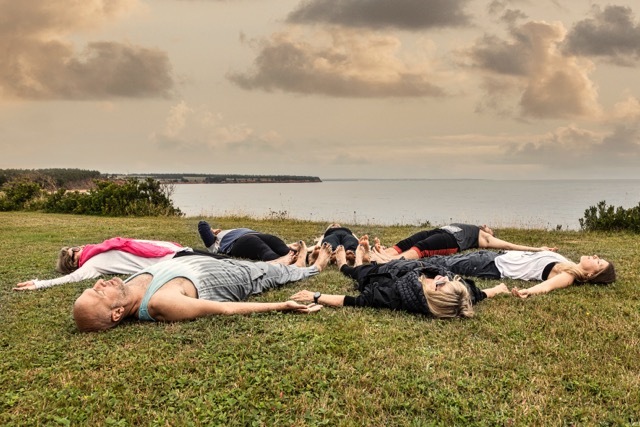 Trevor's writing workshops during a retreat on Prince Edward Island were probing, grounded, and, most importantly, awakening...exactly what I needed to get my creative juices flowing. What I retain from Trevor's writing sessions is the invitation to explore. I remember so well, your quiet, curious and thoughtful approach...You have a gentle and helpful way of drawing people out and making them feel comfortable enough to search inward. Thank you, Trevor, for offering this unique experience. Need a private getaway? Introducing The Hideout. Enter your email to receive occasional news about upcoming workshops, retreats, and special offers. Thanks for connecting. I look forward to being in touch with information about upcoming retreats, readings, workshops, and other resources. If you need to reach me in the meantime, feel free to drop me a note at any time.